There is a new sheriff in town and his name is Officer Big Mac. On Aug. 19, Montreal Mayor Gérald Tremblay announced the appointment of Officer Big Mac as the city’s new chief of police. “The choice wasn’t easy but in the end I had to go with my gut,” said Tremblay to a chorus of laughter and applause at a city hall press conference. Tremblay said that in early August he had narrowed down the list of potential candidates to two: Officer Big Mac and Marc Savard. Savard ran the city’s north end and had received the backing of the brotherhood of police officers and community groups across the Island of Montreal in his bid for chief of police. The day’s announcement was not without naysayers, however, as one reporter openly questioned Officer Big Mac’s credentials. Officer Big Mac rose through the McDonaldland police ranks in the 1970s. He famously declared war on inferior fast food sandwiches and low blood pressure when he was appointed MacDonaldland chief of police in 1983. 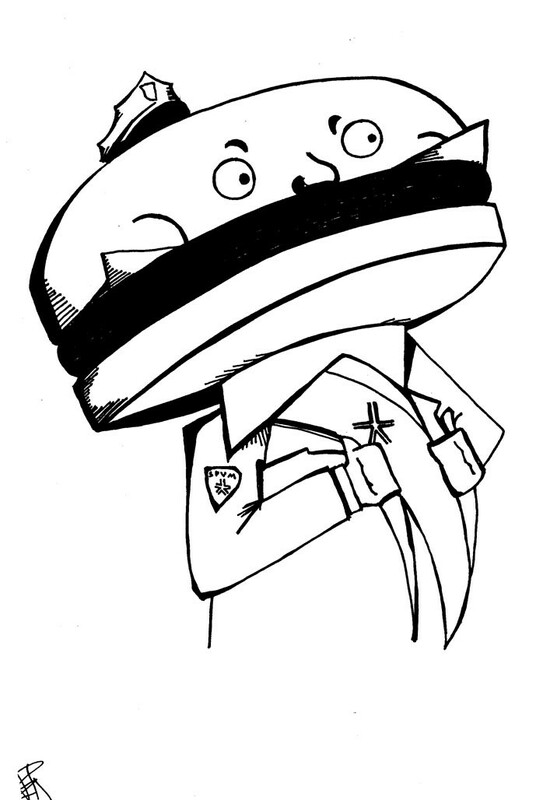 To this day, his biggest achievement remains the arrest and subsequent imprisonment of notorious burger thief the Hamburgler. Officer Big Mac also told reporters he planned on completely revamping the police department, starting with the canine unit. The Mayor also announced the formation of a new gang busting squad, called The Beef, to be headed up by Big Mac himself. “There are a lot of people out there who want us to get rid of gangs with investigations and arrests,” said Big Mac. “Well that’s not how we did it in Macdonaldland. I will riddle these streets with bullets if I have to. I will make it so that no one is ever afraid of gangs in this city again. “And if any of you can’t keep your mutts on a leash, I will put them down myself,” concluded Big Mac.